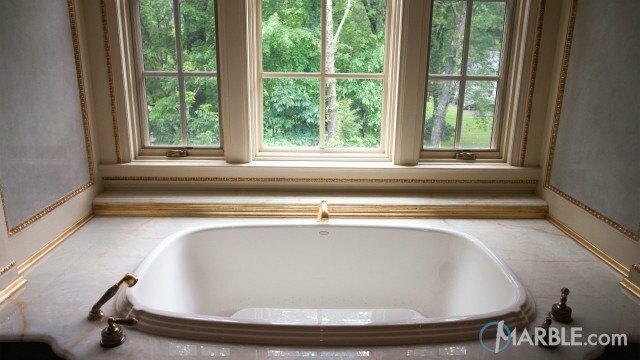 Lay back, relax and fill the tub with bubbles. 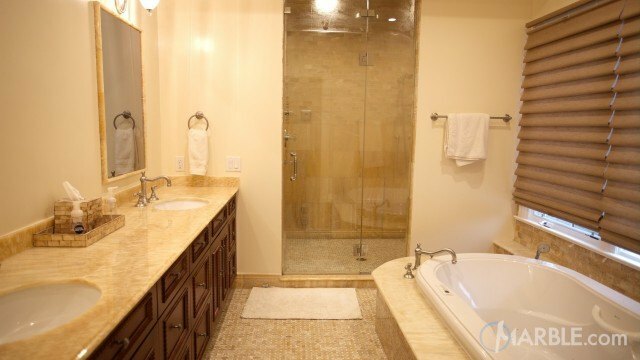 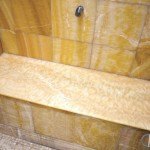 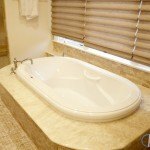 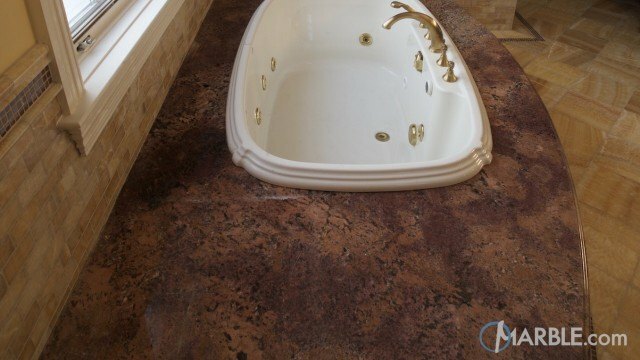 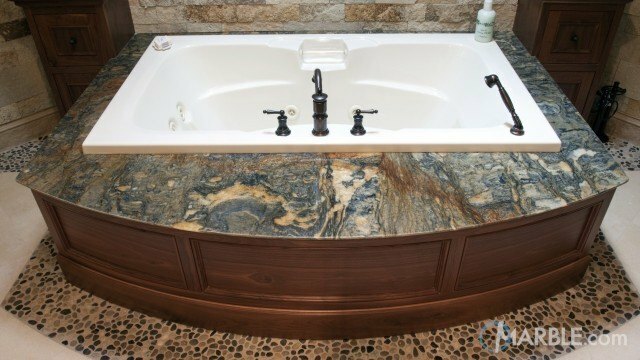 The Honey Onyx counter tops and tub surround in this bathroom sport a Full Bullnose Edge, which is perfect for relaxing and soaking. 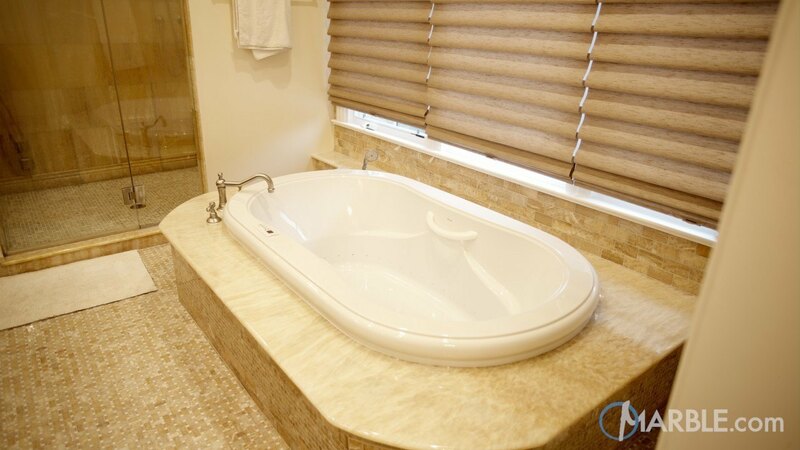 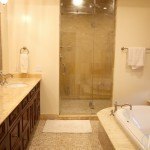 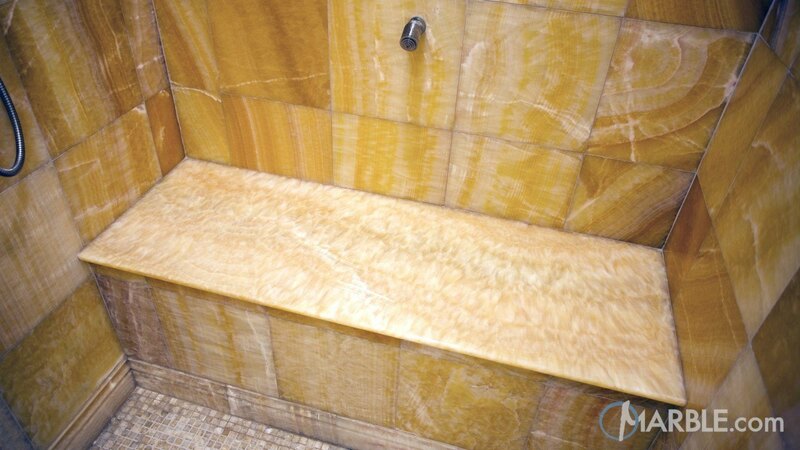 The small tiles on the floor and the tiling in the shower pull together this elegant and opulent raised tub. The perfect bathroom for a day of relaxation!